Software tools and internet services that will create a new paradigm in the legal sector. We are rapidly growing and developing a number of exciting products for the legal market. Currently, our portfolio on the market consists of three projects. In August 2016, we launched FromCounsel, a corporate intelligence service which has been adopted as the trusted go-to corporate law resource by a large number of UK law firms, including all of the Magic Circle. In early 2018, we launched Juriosity in partnership with the Bar Council of England and Wales, a professional network and self-publishing platform for lawyers. In Autumn 2018, we released Sparqa in Beta mode. Sparqa is an online legal platform providing expert guidance and auto-generated documents for SME businesses. FromCounsel is an online corporate law knowledge service for private practice and in-house lawyers. FromCounsel is available by subscription and is used by a large number of leading law firms in the UK. Its Legislation service covers the Companies Act 2006 and other major related legislation, providing full versions of the key statutory instruments. At the heart of FromCounsel lies an expert Q&A service that provides practitioners with comprehensive and analytical coverage by topics. 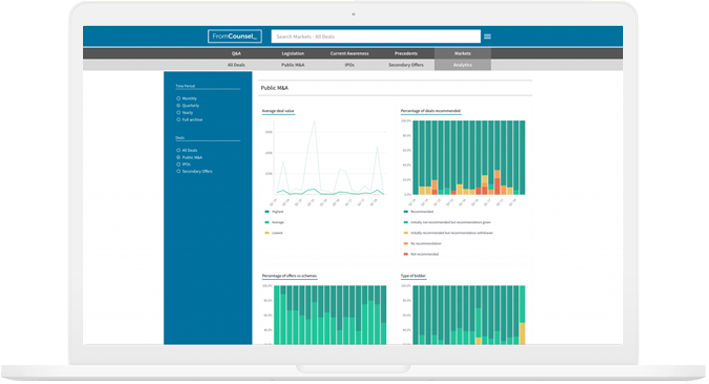 FromCounsel also offers intelligent search tools, a range of Precedents and legal documents, a Current Awareness news service that keeps users up-to-date with key developments in corporate law, as well as a Markets service that provides deal information and analytics in relation to public company transactions. Juriosity is a legal knowledge network, professional directory and self-publishing platform that is changing the way the legal community interacts. 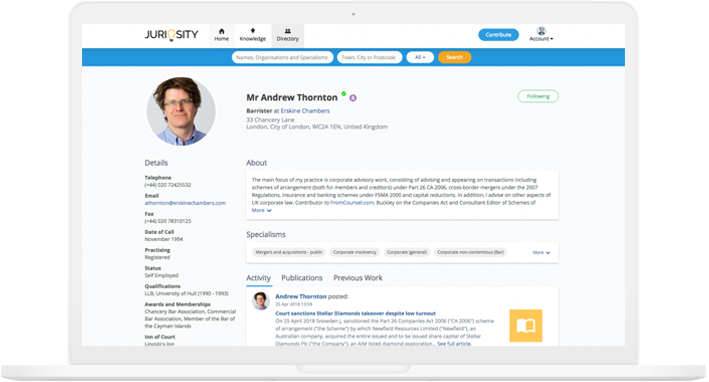 Built in partnership with the Bar Council of England and Wales and using data supplied by the Solicitors Regulation Authority, Juriosity is changing how legal professionals can be found, and how they promote their expertise. Juriosity provides a search-optimised directory which allows potential clients to find lawyers online. Juriosity also features a dedicated Knowledge Centre which houses the content uploaded through Juriosity’s professional self-publishing platform. This allows lawyers to showcase their expertise in real-time to the right people and stand out in their field. 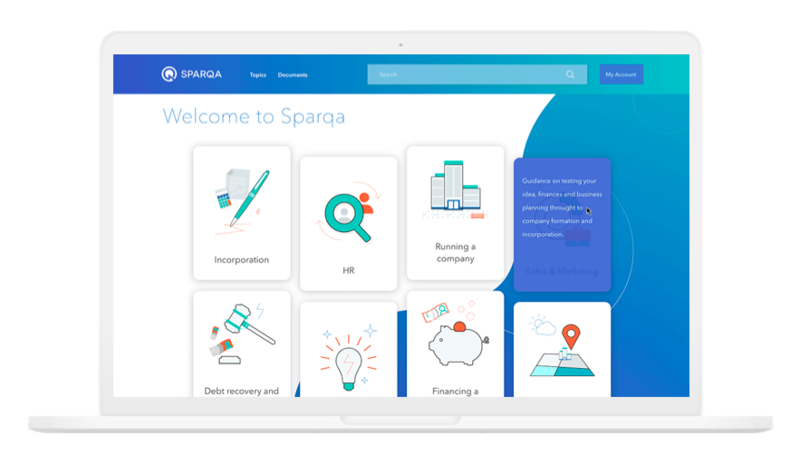 Sparqa is an innovative online platform enabling SME business owners and managers England and Wales to find answers to their legal queries and deal with their legal matters, without having to rely on expensive lawyers. Our detailed and comprehensive content is written by experts in a way that is easy to understand, fully searchable and covers everything you need to start and run your business. Sparqa also has a wealth of automated legal document templates such as contracts, minutes, letters and notices, ready to fill in and download. With our easy-to-use document builder you can complete a questionnaire-style form to customise and auto-generate a document within minutes. Step-by-step guidance is provided for every document.